I just finished reading The Shack by William P. Young and am having a difficult time finding words to describe either the book itself or the impact that it is making on me. If you know me at all, you probably know that I seldom lack the words for anything. This is different. The book tells a wonderful story of a father's journey to find true peace and relationship with God after his young daughter is abducted. The emotion of his search is raw and heart-wrenching. But through the process he comes to a full understanding of what it means to love, wrestles with forgiveness, and ultimately finds the peace that only God can provide. As I read the last half of the book today I found my eyes welling with tears at the truth that this story contains. My heart was touched, and the way that I approach my Lord has been altered in significant ways. You really should read this book. Humankind was created to live in true relationship with God and with one another. In Genesis 2, the Lord formed Adam from dust, filled him with the breath of life, placed him in the garden to cultivate and keep it, and noted the need for man to have a helper. And so, from Adam's very flesh, the Lord created Eve. Chapter 2 ends with verse 25: "And the man and his wife were both naked and were not ashamed." Adam, Eve and God lived in a relationship characterized by true authenticity. So much so, that despite their nakedness, they felt no shame, no timidity, no nervousness, no fear, only love. Imagine a relationship where you could be that vulnerable, and yet not feel the slightest hint of vulnerability. That is what true relationship looks like. A fairly common dream - although perhaps nightmare is a better description - is being naked in public (I admit I've had this one numerous times during my life). In most of these dreams the dreamer is the only one that recognizes their own lack of clothing. Now, I'm no psychologist. In fact, I've never taken a psychology course. But, my assumption is that these dreams all point to our collective fear of vulnerability. Unfortunately, humankind has ceased to live in the true relationship that we were created for. Instead of being authentic, trusting one another, and loving others as we love ourselves, we often approach relationships with an eye on what we can gain from them. Seldom is this done as overtly as my words may suggest, but whenever we fail to view the needs of those we are in relationship with as significant as our own, we create an advantage in our favor. We use the guise of relationship to place ourselves in a position of power. The solution, although not easy, is to be vulnerable and to love others as we love ourselves. 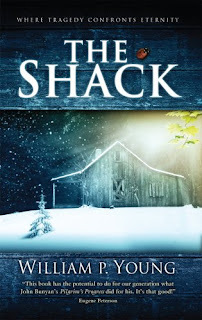 I'm currently reading The Shack by William P. Young. It's a wonderfully written book about our need for true relationship with God. Earlier today I came across the following quote which I think we can all learn from in our quest to live in true relationship. "Relationships are never about power, and one way to avoid the will to power is to choose to limit oneself - to serve."